Christmas in style with the UK’s finest Advent calendars. At hotukdeals, shoppers can choose from gourmet chocolate calendars, candles, LEGO calendars and much, much more. Choosing the right one can make the build up to Christmas extra special, so be sure to make a festive purchase when the time is right by checking out the hotukdeals Advent calendar listings. 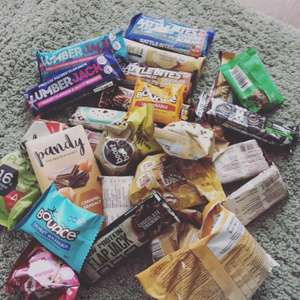 Great selection of protein bars . Well worth the money. Only had 2 of date this month. Were many bars out of date? Just picked mine up and very impressed. All items in date by at least 3 months except for 2 items which are 2 weeks out of their best before. coming up as £15.88 for me. Nails Inc. 12 Days of Beauty Gold Advent Calendar @ Pretty Little Things £15 Was £50 + £1.99 Del. 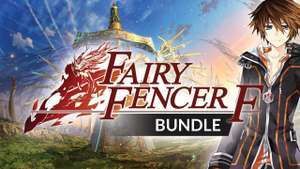 With Code until 6pm! How the hell is this still £9!!! Honestly paid £20 for it, it's barely worth £5 they aren't the proper characters with moving limbs! Do you think the pork scratchings will expire before this thread does? Never miss a 'Advent Calendar' deal again! Grabbed one and it's arrived. I will declare it December as soon as I get home and have a look to check which whiskies are actually inside. I have seen different lists in different places. I didn’t think it would go mega hot as it is kind of niche, but I’m glad that someone appreciated it. If it is cold there are more drams for the rest of the whisky appreciation club. Many thanks for the listing. It's a fair selection for the price. I agree that a visit to a whisky festival / show is a better option for tasting different types. Last time I went to The Whisky Exchange show they sent out the list of available whiskies to try. I think there were 500+, so careful planning was required. A very civilised event: All that lovely whisky and I only spotted one drunk. I’m pretty sure you can get 24 mini bags of hairbo at Tesco for £2 at the moment , and that’s if you buy the individual ones , as they are 6 for 50p, so probably cheaper alternatives too. Unless you are taking a chance this will still be in date next December it still seems over priced to me ;( sorry . 24 bags that are 10p each in most supermarkets? OOS now, missed the moment. Thanks!I know it's not a perfume for everyone but not a reason to vote cold. If someone can find it cheaper please let me know. I love it :) I've posted the other deals seperatly so they don't get missed. Really cheap gifts for someone who likes Angel. Seems stock only in Liverpool, Blackpool and Llandudno. Great deal of you can get it! Just reserved last one at Wallsend. Hopefully box isn't beaten up. Does it say “2018” on these?Will ask my son to look as he works besides a Smyths if able to use next year. Well I missed out from the Debenhams it was £5 so this is cheaper I've ordered for my little girl she's 3 she loves her nail polish. Heat added. 2ml size if thats each polish that is tiny. Got one for the Mrs at Xmas, about 10 of the colours were near identical. Get 3 advent calendars for less than the price of 1 . Advent is the period just before Christmas, when the Christian church prepares for the coming of the infant Jesus. The four Sundays preceding Christmas day have traditionally been seen as the Advent period, but these days, most of us count the days from 1 December until 25 December on special Advent calendars. These 24-day calendars come in a huge variety of forms, with edible options, beautiful decorative options and much more. Higher end calendars aren’t always cheap, but with the help of hotukdeals, anyone can afford a truly exceptional Advent calendar to set the stage for a Christmas spectacular. This buyer’s guide explains what options you have and how to get the best Advent calendar deal. As everyone probably knows, the story of the Advent calendar begins in a stable in the Holy Land around two thousand years ago. When the baby Jesus was born, his arrival marked the beginnings of Christianity as a world religion, and Advent quickly became a key part of how his followers celebrated his birth. By the 5th century, churches across Europe had embraced the concept of Advent as a period before Christmas, when Christians could reflect on the coming of their saviour (and pray for the second coming). Unlike modern Advent, the practice back then was to fast throughout early December, until the Christmas feast. There would have been no place for chocolate filled calendars, that’s for sure. Since then, Advent has changed, becoming a joyous period of preparation for the celebration of Christ’s birth. It’s also become a non-denominational period of celebration, with people of all religious getting ready for the gift-giving and social events of the Christmas season. Modern Advent involves parties, church services, carols, decorations and – above all – the use of Advent calendars to mark off the days leading up to Christmas Day. For many people, Christmas is unthinkable without these calendars. If that sounds like you, this buyer’s guide may open your eyes to some superb alternatives to traditional calendars, so read on. How Do Advent Calendars Work? Advent calendars are basically incredibly simple. They just consist of 24 (sometimes 25) numbered doors or boxes which are opened in sequence, once a day, until Christmas Day arrives. However, there’s more to it than that. For instance, if Advent calendars involve daily chocolates, they need to have a way to keep them fresh until the day comes. They also need to be arranged so that finding each doorway is a challenge. Advent calendars generally don’t just list boxes horizontally (although as we’ll see, some do). Some Advent calendars are designed to be propped up against a wall or hung on a door, but most are organised to fold out and support themselves. Cheaper models tend to lack support, which can be a pain when you come to look for a place to prop them up. Anyway, you’re all probably familiar with the details. The interesting part is picking what kind of Advent calendar you’d like to use. You might be surprised by the choice on offer, so don’t just go for the same old cardboard model. What are the Different Types of Advent Calendar? Tea Advent calendars – If chocolate doesn’t float your boat, why not buy an Advent calendar that allows you to brew up a different cup of tea every day? Companies like Bluebird and PostTea make calendars that are full of festive character but feature samples of Darjeeling, Chai and many other tea varieties. It’s a great way to pick yourself up on the winter mornings before Christmas arrives. Savoury food calendars – Believe it or not, savoury snacks like crisps are also finding their way into Advent calendars. One of the most creative ideas came from Snaffling Pig, who had the notion of adding a piece of their award-winning pork crackling behind every door. So it’s not all about sweets: savoury Christmas treats can be a delight as well. Gourmet sweet calendars – Then again, sweets are the quintessential Advent calendar filler. Go beyond chocolate with liquorice or jelly bean filled calendars from companies like Confection Affection or Lakrids or try the biscuit themed options from Biscuiteers. There are also some fantastic lucky dip Advent calendars where every day brings a bag of random sweets (Sweet Memory Lane make some of our favourites). Cosmetics calendars – Advent calendars don’t need to be filled with edible treats. Beauty products are another growing area that manufacturers are filling. Great examples include the beard oil themed designs from The Bearded Man Company and makeup advent calendars from Benefit, Ciate or Mad Beauty. Experiment with a different blusher or foundation every day until you find the perfect combination for the Christmas party. Alcoholic calendars – Booze is another area where Advent calendars are coming into their own. These options tend to be a little larger and more robust and can hold drinks like artisan gin or vodka or single malts that have been curated by experts. Drinks by the Dram are the company to go to for boozy calendars, offering a mixture of gin and whisky that will perk up your pre-Christmas preparations. 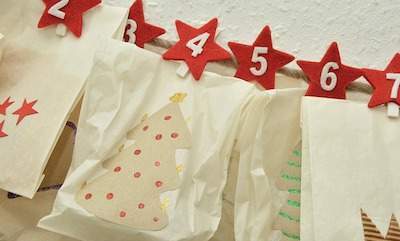 Fabric calendars – Another family-friendly Advent calendar option is to buy a hand-made fabric calendar that can be used again and again. Check the Etsy listings as Christmas approaches or head to companies like Gisela Graham or Minerva Crafts to find some magical (and often beautifully crafted) products. As you can see, there’s a galaxy of different Advent calendar ideas on offer. It’s easy to imagine families buying a few different options. You could treat the kids to a Hotel Chocolat calendar with delicious festive chocolates, while Mum could have a makeup calendar and Dad could try out a new beard grooming product every day. It’s more fun than just seeing the same old stars, presents and holly sprigs. What Other Advent Accessories Can You Purchase? Advent isn’t all about calendars. Aside from the religious side of things, it’s also a festival of light – a time in the winter when people have historically lit candles to ward off the gloom and hope for a good year to come. That’s why Advent candles have become a popular compliment, and sometimes an alternative to traditional Advent calendars. You can purchase specially decorated Advent candles from companies like Royal Design, Crusader Gifts and – most commonly of all – Yankee Candle. With these candles at your disposal, you’ll be able to light a different candle every evening throughout December as you get ready for your Christmas celebrations. In fact, Yankee Candle also produce something really special. Their own Advent calendars feature a collection of tealights that purchasers can light as Christmas approaches. The lights come with specially selected festive fragrances, so they aren’t just beautiful candles. They will also help to create an authentically seasonal atmosphere in your home. You can buy their calendars in a range of shapes: there are house-shaped models, calendars formed into wreaths, carousel shaped options and pyramids as well. Pick one that fits on your mantelpiece and you’ll have a wonderful way to count down the days until Christmas. What About Toy Advent Calendars? We’ve already noted that Advent calendars often appeal to kids, but it’s worth returning to this point. Don’t assume that you need to buy a sugary chocolate or sweet-filled calendar to satisfy your kids’ love of Christmas. There are some other great toy-related Advent calendars that will be a hit as well. LEGO isn’t the only brand that offers its own Advent calendars, though. Disney are another company that has joined the festive fun. There are Play-Doh calendars as well (a great idea for creative kids), Playmobil calendars and calendars that are themed around massive movie franchises like Finding Nemo. All of them combine the thrill of waiting for Christmas with a daily bonus toy – so they should go down really well with younger people (not to mention big kids). One of the worst aspects of old-style Advent calendars was the way they were made with card glued to transparent plastic, making them almost impossible to recycle. Unfortunately, many food-filled calendars are still problematic to recycle due to the need to keep the contents fresh. However, if you want to celebrate Christmas without polluting the environment, there are ways to do so. Some branded calendars can be reused after their contents have been opened. For example, Playmobil calendars are well-made and the pots can be refilled next year producing the same kind of excitement. Fabric calendars are even better. They can be used again and again without any concerns for recycling. 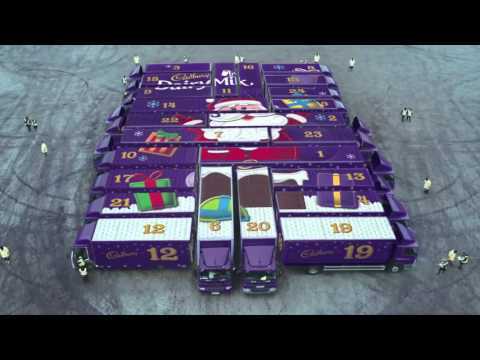 However, if you want a standard Advent calendar that can definitely be recycled, go for one without food inside. An old-style artistically designed calendar made solely from card is probably the best way to go. Advent calendars can be used as a gift in the run up to Christmas to show the ones you love that you are trying to make their festive season as special as possible. If you want to use the calendar as a gift, be sure to hunt around in Black Friday sales in mid-November, as this is when many of the more upmarket Advent calendars come down in price. Great options for gifts include ones we’ve already mentioned like makeup, beard grooming, vodka, whisky and gin, but there are alternatives. Craft beer sellers like Honest Brew sell cases of 24 beers that will go down a treat; L’Occitane sells general beauty sets with shampoos and skincare lotions, and there are even musical Advent calendars to pick from. Use your imagination and you will thrill the person you are buying for. Naturally, most people reading this buyer’s guide will want to know all about how to find the best Advent calendars to make December extra special. But what if you are someone who loves chocolate but wants to find cheaper ways to buy the brands they love? 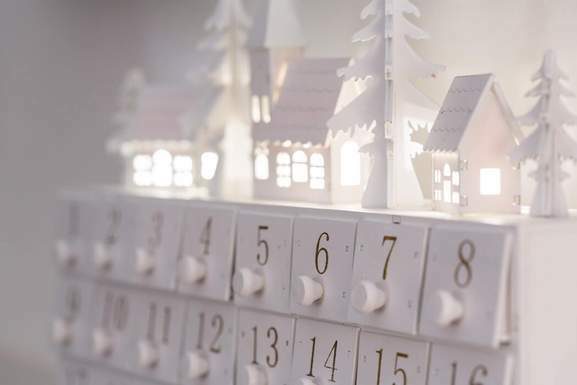 Could Advent calendars help you out? Actually, yes. Brands like Thorntons, Hotel Chocolat, Divine, Green & Blacks and Lindt are elite chocolate manufacturers who also produce luxury Advent calendars. However, after Christmas they are often left with a surplus of products that contain chocolate. They can’t store them until next year or extract the chocolate for resale. Instead, they tend to slash the prices. Sometimes, you can pick up ten calendars for £1 from some of the biggest names in UK confectionary. That’s a pretty good price if you are buying bargain chocolate bars. So if you have a sweet tooth, stay alert after Christmas for Advent calendar deals. You can save a lot of cash on things like party treats and your own personal chocolate stash by taking advantage of post-Christmas sales. If you are planning this year’s Christmas celebrations, finding the right Advent calendar is a crucial component of the festivities. By now, you’ve probably got a good idea of what type of calendar (or calendars) you want to buy. The question is how to find cheap Advent calendars that tick all of your boxes. The first place to go are the hotukdeals Advent calendar listings. Here, you’ll find chocolate calendars from brands like Hotel Chocolat and Lindt, as well as all of the calendars on sale at retailers like Tesco, Asda, Amazon and Sainsbury’s. You’ll find the cheapest LEGO Advent calendars around as well as plenty of discount options if you need an Advent calendar for adults. Check the listings in November for the best deals. Black Friday is usually a great time to shop, with UK retailers boosting their festive sales period via big reductions. Don’t forget January Sales as well. If you are buying a LEGO calendar or fabric calendars, there’s no risk of them going off throughout the year. It could be the perfect time to snag an Advent calendar bargain. Advent calendars are a crucial part of the classic British Christmas. Counting off the days until Christmas is a ritual for kids and adults alike, and it’s nice to do so with a calendar that offers gifts at the same time. Check the hotukdeals Advent calendar listings for the best deals on chocolate filled calendars, the cheapest LEGO Advent calendars and many more varieties.